Although there are plenty of keyboard apps aimed at taking the frustration out of mobile typing, Minuum stands out from the crowd. 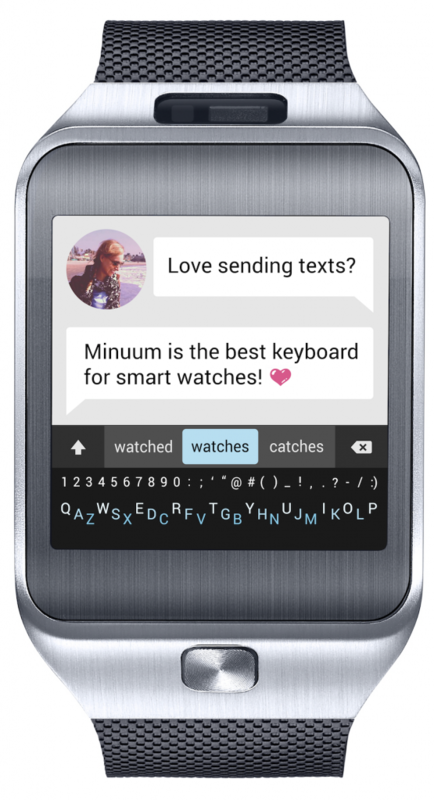 Its goal is to revolutionize the way we type on a variety of mobile and wearable devices. 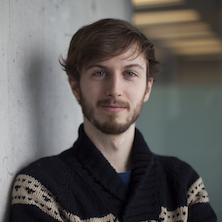 We talked to the founder of Minuum, Will Walmsley, to find out more about Minuum and the typing solutions of the future. Pocketnow: Tell us a bit about the vision behind the Minuum keyboard. Will Walmsley: We’re on the verge of an explosion of new forms of smart and wearable devices, and the standard typewriter-based keyboard isn’t prepared for that future. Minuum is all about building a typing experience around the expectation of sloppy typing, enabling us to adapt that original QWERTY keyboard into a familiar but future-proof compact size. P: How was the idea conceived? What was your inspiration? 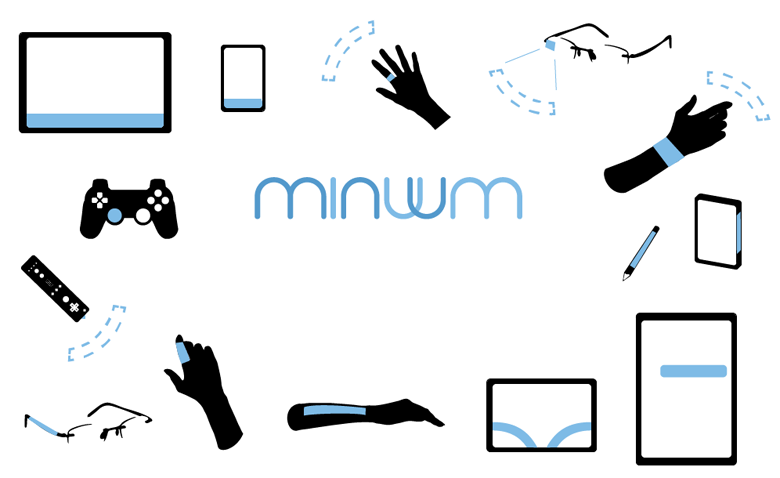 WW: Minuum began as an exploration of how typing can work with simple motion-sensing devices. The original goal was to develop a solution for sight-free typing, but the core algorithms and user experience that we built proved to be far more useful beyond that niche use case. Our demonstrations of typing with Minuum on a smart TV using a Wiimote is an updated version of the original technology we built. P: Walk us through how Minuum works. How do its algorithms manage to make correct predictions based on imprecise user input? WW: There are two important parts to Minuum’s algorithms – an understanding of how people miss when they’re typing quickly, and an understanding of the language that they’re using (which adapts to personal vocabulary / writing style). You can take a look at a blog post we put together a few months back for a more in-depth explanation. 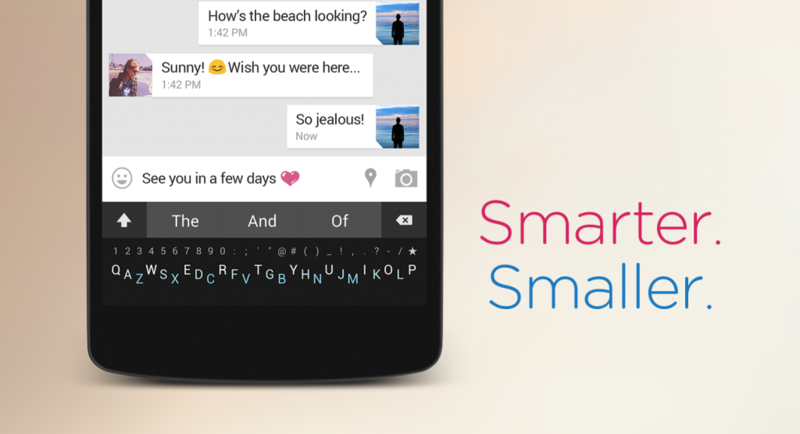 P: What do you think sets Minuum apart from other popular virtual keyboards, such as SwiftKey? WW: When you look at Minuum, the most obvious advantage it holds over other popular keyboards is its ability to work at an extremely small size, allowing you to interact with as much of the screen as possible while the keyboard is open. But when you use Minuum, what you’ll find sets it apart the most is the powerful autocorrect experience, which is built around the expectation that you miss every letter when you type. The result is faster typing, partly from being able to be sloppy when typing, and partly from not needing to move your fingers as far on the screen. P: Minuum’s compatibility with a variety of wearable devices is another point that distinguishes it from the competition. What devices do you currently support? WW: We have beta versions of Minuum that work on Android or Android Wear-based devices, which include the original Samsung Galaxy Gear watch, the Omate TrueSmart watch, LG G watch, and the Samsung Gear Live watch. P: Are there any other devices you’re working on adding to this list? WW: We have alpha software built for Google Glass, which isn’t yet publicly released. There are also a few upcoming smart watches that we’re also excited to be partnering with, which we’ll see out in the market shortly. We’ve been exploring opportunities with devices like the Leap Motion Controller and the Myo armband, though those technologies don’t yet have the ability to direct text input to the systems they’re attached to. P: On the app’s Google Play page you wrote: “soon Minuum will let you type in ways you never imagined.” Would you care to elaborate? WW: Our favorite use cases of Minuum don’t use a touchscreen at all. The beauty of typing on a single line (instead of on a surface) means that we can use novel sensor technology to type in interesting ways, for instance, in mid-air, or on your arm. Some of our demo videos give a preview of this potential. P: You mention that one of your goals is to create the best keyboard for people with motor, visual and cognitive impairments. How are you working to achieve this? WW: We’ve bundled our algorithms into a development kit that a couple of local research groups have been working with to create things like a one-dimensional scanning keyboard solution for people with various levels of motor impairment. We’re looking forward to doing more work in this field, which our development kit is helping to expedite. P: What were some of the biggest challenges you had to overcome and how did you manage to do that? WW: New typing solutions are notoriously difficult to catch on – this is the challenge faced by any creator of a new input method. We’ve struck a rare balance between innovation and familiarity – Minuum is still QWERTY, but presented in a compact form, allowing users to transition to it with minimal effort. P: What are your current biggest challenges? WW: As useful as Minuum users have been finding the keyboard for smartphones, we’re most deeply excited about the potential with new forms of technology. However, wearable technology is still a few years away from taking off the same way smartphones have, and our biggest challenge is in balancing our development for current devices while anticipating the devices that the future holds. P: Minuum has an Android version. Any plans for other operating systems? Windows Phone perhaps? WW: We’re working very intensely on an iOS 8 keyboard app right now, which, along with ongoing Android support, is our priority at the moment. P: You’ve recently added Russian and Dutch support. What languages are you planning on adding next? WW: We have a dozen of our top requested languages in the development pipeline at the moment. Language releases are driven primarily by demand on our support forums, so the next language release will be determined by user requests. We’ve recently ramped up our ability to add new languages, so you can expect to see rapid addition of these new languages in the near future. P: Where do you see Minuum a year or two from now? WW: We see Minuum as becoming the standard way to type on small-form devices like smart watches, and within two years we’ll hopefully have Minuum on some popular devices out there that are not reliant on touchscreens at all.